Australia’s biggest amusement park features exciting themed areas with everything from tigers and thrilling rides to vintage V8 super cars and TV characters. Dreamworld features a wide selection of fantastical and diverse Australian attractions all in one place. Exploring this huge theme park takes a whole day and incorporates wildlife observation, movie-themed attractions, and thrilling rides. This amusement park took seven years to build and opened in 1981. Some of the world’s tallest (at the time) roller-coaster rides were added over the past 30 years. The park covers a lot of ground, but two restored steam trains provide visitors easy access to the main attractions. Adrenaline is the name of the game on the Big 9 Thrill Rides. The Tower of Terror II, arguably one of the world's most extreme rides, catapults you 328 feet (100 meters) into the air at 100 miles (161 kilometers) per hour, followed by a face-first free-fall. Take a wild rickshaw ride on Pandamonium, based on the movie Kung Fu Panda. Get strapped in with just a waist harness for the 150-foot (46-meter) ascent of the BuzzSaw roller coaster, which spins and tips upside-down at lightning speeds. For young children there are some tamer, movie-themed rides. Take a breather in the Dreamworld cinema, or hop into a vintage car. Spend an hour with native Australian animals and endangered Bengal tigers. For an extra fee, go behind the scenes at Tiger Island and join the handlers feeding the tigers and crocodiles from a safe-but-intimate distance. Watch a sheep-shearing show, and visit the koalas, wombats, kangaroos, bilbies, and hundreds of other Australian species that live at Dreamworld. The Sunset Safari is a great time to see nocturnal animals just as they are beginning to become active. Dreamworld is located at Coomera on the Gold Coast. The park is open daily, except Christmas Day and April 25. During school holidays, the attractions get very crowded. Dreamworld is the biggest of all the Gold Coast theme parks. Buy a VIP Pass if you also want to visit WhiteWater World next door. For more things to do, take a look at our Coomera things to do page. Enjoy the adrenaline rush as you slide down some of the coolest waterslides and rides in Australia. 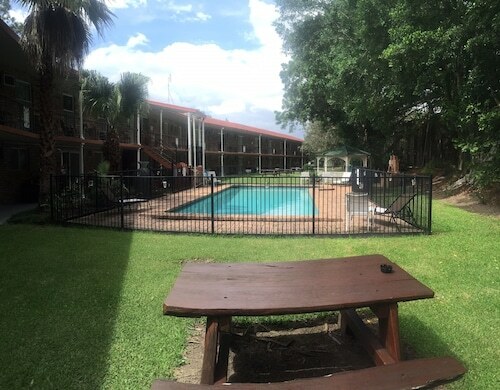 Situated in Coomera, this hotel is within a 10-minute walk of Dreamworld and WhiteWater World. Warner Bros. Movie World and Paradise Country are also within 6 mi (10 km). Gold Coast City Coomera Station is 18 minutes by foot. 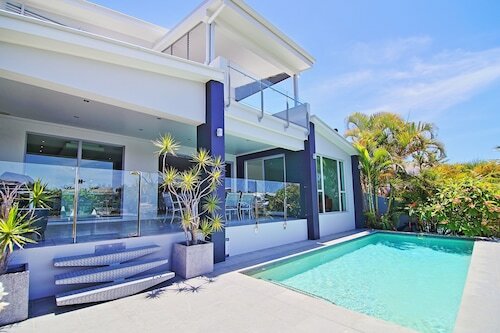 Situated in Coomera, this vacation home is within 3 mi (5 km) of WhiteWater World, Dreamworld, and Warner Bros. Movie World. Wet'n'Wild Gold Coast and Marina Shopping Village are also within 6 mi (10 km). 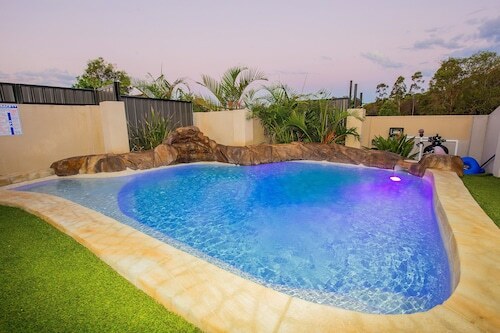 Situated in Upper Coomera, this vacation home is 1.2 mi (2 km) from Dreamworld and 1.3 mi (2.1 km) from WhiteWater World. Warner Bros. Movie World and Marina Shopping Village are also within 6 mi (10 km). Gold Coast City Coomera Station is 27 minutes by foot. 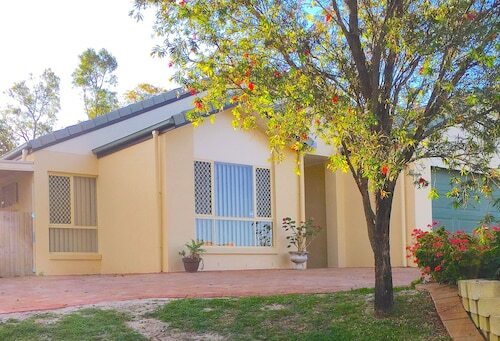 Situated in the entertainment district, this vacation home is 1.3 mi (2.1 km) from Dreamworld and 1.3 mi (2.1 km) from WhiteWater World. Warner Bros. Movie World and Marina Shopping Village are also within 6 mi (10 km). Gold Coast City Coomera Station is 28 minutes by foot. 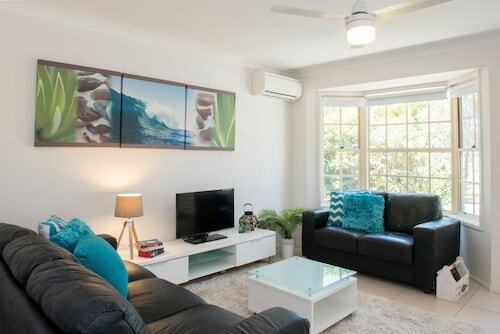 Situated in Helensvale, this vacation home is within 3 mi (5 km) of Marina Shopping Village, Dreamworld, and WhiteWater World. Warner Bros. Movie World and Wet'n'Wild Gold Coast are also within 6 mi (10 km). 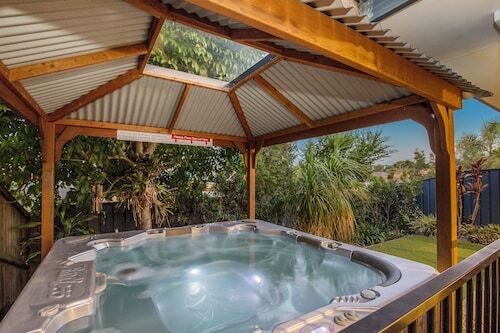 Situated in Upper Coomera, this vacation home is 1.5 mi (2.4 km) from Dreamworld and 1.5 mi (2.5 km) from WhiteWater World. Warner Bros. Movie World and Wet'n'Wild Gold Coast are also within 6 mi (10 km). 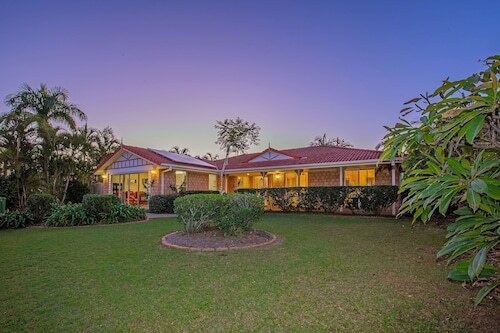 Situated in Upper Coomera, this vacation home is 2.3 mi (3.8 km) from Dreamworld and 2.4 mi (3.9 km) from WhiteWater World. Warner Bros. Movie World and Paradise Country are also within 6 mi (10 km). 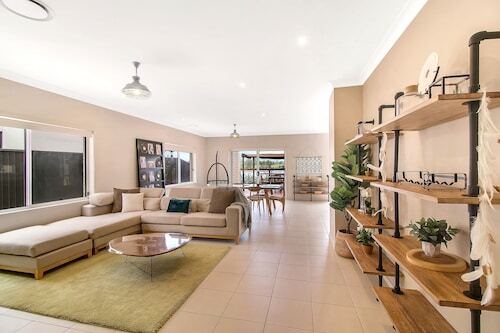 Situated in Helensvale, this luxury vacation home is within 3 mi (5 km) of Marina Shopping Village, Dreamworld, and Warner Bros. Movie World. Wet'n'Wild Gold Coast and WhiteWater World are also within 3 mi (5 km).